If one of your New Year’s resolutions is to fix your smile in 2017, here are a few helpful hints to jumpstart your resolution! Here at Sugar Fix Dental Loft, we strive to always make sure your teeth are looking great! Such a great product to keep your smile shining! Cranberry Sauce: This is certainly a go to for most people during the holidays, but this festive-colored fruit bowl is just waiting to leave some staining on your teeth. Dark berries are one of the major culprits of a staining and yellowing smile. Make sure to rinse your mouth out with water right away or brush your teeth immediately after you eat. Creating this habit can help! Red Wine, Even White! : Nothing says holiday time quite like passing around some cocktails! 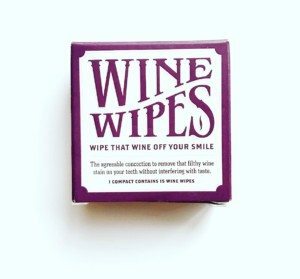 While wine might be one of the major purchases on your holiday list, you may want to consider a more smile-friendly alternative. Both white and red wines can cause dental staining, and white wine’s acidity has also been known to damage tooth enamel. If you can’t say no to a glass of wine, then we recommend drinking it over a shorter amount of time rather than sipping it, so your teeth aren’t exposed to the damaging beverage too long. Pies With Fruit: The holidays tend to be the most popular for fruit-filled pies. However, just as we mentioned with cranberry sauce, berries and dark fruits can stain teeth. Also, the acidity can damage tooth enamel, which can weaken teeth. If you want to keep that sparkling smile bright but need something sweet, opt for chocolate or even pumpkin pie, which won’t cause the same stain problems that fruit will. If you want to have a brighter smile for the holidays, then try to avoid these foods while gathered around the dinner table this holiday season. Or if you’d like to get some more information on whitening your teeth after the holidays, Dr. Jessica Emery and the team at Sugar Fix will gladly answer your questions! We have many options to brighten your smile. If you do, your smile will certainly be twinkling! Make sure to follow us on Facebook, Twitter, Instagram, and Snapchat (@DRJESSICAEMERY)!